In 1911, Carrie Strahorn wrote a memoir entitled Fifteen Thousand Miles by Stage, which shared some of the most exciting events of 25 years of traveling and shaping the American West with her husband, Robert Strahorn, a railroad promoter, investor, and writer. That is all fact. Everything She Didn’t Say imagines Carrie nearly ten years later as she decides to write down what was really on her mind during those adventurous nomadic years. Certain that her husband will not read it, and in fact that it will only be found after her death, Carrie is finally willing to explore the lessons she learned along the way, including the danger a woman faces of losing herself within a relationship with a strong-willed man and the courage it takes to accept her own God-given worth apart from him. Carrie discovers that wealth doesn’t insulate a soul from pain and disappointment, family is essential, pioneering is a challenge, and western landscapes are both demanding and nourishing. Most of all, she discovers that home can be found, even in a rootless life. With a deft hand, New York Times bestselling author Jane Kirkpatrick draws out the emotions of living–the laughter and pain, the love and loss–to give readers a window not only into the past, but into their own conflicted hearts. Based on a true story. Seeking justice . . .
Sylas Rutledge, the new owner of the Northeast Line Railroad, invests everything he has into this venture, partly for the sake of the challenge. But mostly to clear his father’s name. One man holds the key to Sy’s success–General William Giles Harding of Nashville’s Belle Meade Plantation. But Harding is champagne and thoroughbreds, and Sy Rutledge is beer and bullocks. Sy needs someone to help him maneuver his way through Nashville’s society, and when he meets Alexandra Jamison, he quickly decides he’s found his tutor. Only, he soon discovers that the very train accident his father is blamed for causing is what killed Alexandra Jamison’s fiancé–and has shattered her world. Struggling to restore honor . . .
Spurning an arranged marriage by her father, Alexandra instead pursues her passion for teaching at Fisk University, the first freedmen’s university in the United States. But family–and Nashville society–do not approve, and she soon finds herself cast out from both. Through connections with the Harding family, Alexandra and Sy become unlikely allies. And despite her first impressions, Alexandra gradually finds herself coming to respect, and even care for this man. But how can she, when her heart is still spoken for? And when Sy’s roguish qualities and adventuresome spirit smack more of recklessness than responsibility and honor? Sylas Rutledge will risk everything to win over the woman he loves. What he doesn’t count on is having to wager her heart to do it. Cassidy Ivanoff and her father, John, work at the new and prestigious Curry Hotel outside Mt. McKinley. While John will be expedition and wilderness exploration guide for the wealthy tourists, Cassidy has signed on as a cook’s assistant. Both are busy as the hotel prepares to welcome the president of the United States on his way to drive in the golden spike to officially complete the railroad. Allan Brennan travels to the Curry Hotel to be an apprentice of a seasoned Alaska mountain guide. Ever since his father’s death climbing Mt. McKinley, he’s worked to earn enough money to make the trek to the Alaska territory himself. His father’s partner blames their guide for the death of his father, but Allan wants to find the truth for himself. He finds an unlikely ally in Cassidy, and as the two begin to look into the mystery, they suddenly find that things are much less clear, and much more dangerous, than either could ever imagine. Journey the Transcontinental Railroad along with nine unlikely couples who encounter all the dangers and disappointments of traveling the rails in the late 1800s. 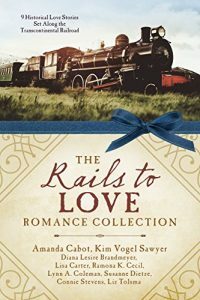 From sight-seeing excursions to transports toward new lives, from orphan trains to circus trains, can romances develop into blazing love in a world of cold, hard steel? She Wants the Freedom of the Open Plains. He Wants the Prestige of a Successful Career. Neither is Ready for What Comes Instead. The train to Garber, Texas, is supposed to bring life’s next victory to Nicholas Lovelace. Instead, it gets held up by robbers who are thwarted by the last person Nick ever expected–Anne Tillerton from back home in Prairie Lea. Anne’s been hiding away as a buffalo hunter. She’s only in town to find their runaway cook, but the woman flees–leaving Anne with her infant son. With Nick the only person Anne knows in town, the two form an unlikely team as they try to figure out what to do with the child. But being in town means acting and dressing for polite society–and it’s not going well for Anne. Meanwhile, Nick’s work is bringing new pressures, and being seen with a rough-around-the-edges woman isn’t helping his reputation. Caught between their own dreams, a deepening relationship, and others’ expectations, can the pair find their way to love? A pampered socialite embarks on a journey to the Wild West where her life is changed forever. A setting populated by hundreds of laborers, outlaws, and Indians is hardly the place for a wealthy general’s daughter from the nation’s capital. 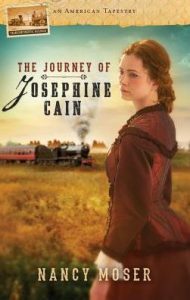 But Josephine Cain is determined to visit her father, who supervises the day-to-day work involved in the grandest ambition of post-Civil War America: the building of the Transcontinental Railroad. Life with the railroad is far from the proper life Josephine is used to, and she faces deadly gunfights, harsh weather, and vigilante uprisings. 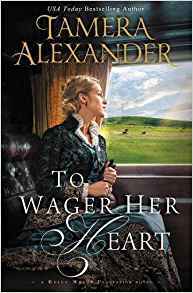 She is torn between the West and the East; between her privileged upbringing and the challenges of a new frontier; between the pull of the suitable beau her parents approve of and an attraction to a rough but charming Irish railroad worker. But if Josephine is willing, and courageous, she just might find a new life, a unique purpose . . . and true love. A man who goes only by the name of “Jones” isn’t looking for trouble when he happens across Miss Trinity Franklin at the riverside. He is simply on his way to North Dakota to seek the advice of Tom Curtis, a former CN&W Railroad land purchaser. But when Jones spots a lady who is about to become the victim of a marauding band of thugs, he quickly follows his instincts. A handy barrel and a nearby river seem the perfect getaway solution…how was he to know she couldn’t swim? Thus begins an adventure beyond what either could have anticipated. 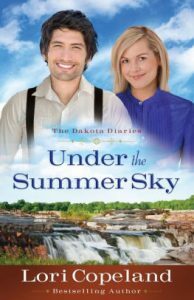 After Jones again rescues Trinity–this time from the river–they find their destination is the same: a small town in North Dakota. A seemingly coincidental beginning comes to a delightful and charming ending when orchestrated by the One who can put the pieces of any lost and broken life together. From the moment Jesse Baker collides with Erin O’Grady on a Boston train platform, he faces a dilemma. For once, Jesse doesn’t want to lie about who and what he is. 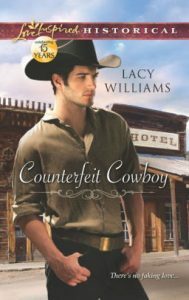 Yet if she learns he’s a con artist, not a cowboy—and the urchin with him is certainly not his brother—she’ll never give him a chance. Erin suspects there’s more to the enigmatic cowboy than meets the eye. But the sheltered socialite is certain his deep compassion is real. On the long Christmastime train ride to Wyoming, hearts and courage are tested and true motives revealed. And the journey that began in a charade may end with redemption—and a very real love. Drought has forced farmers around the small town of Bountiful in the Hope region of Oregon to mortgage their property. Then word comes of plans for a spur line to run through the area and join the railroad in nearby Milton. Folks with money see an opportunity to fill their coffers by buying farmland cheap then selling to the railroad for a profit. The Bank of Bountiful, owned by Eli Whitman, appears to be doing that, as well. Widowed two years earlier, Eli, with a son and daughter to raise, sought a hard-working, educated Christian woman to care for them and his home. Olivia Moore filled the bill, and as soon as Eli recognized her as an excellent investment, he offered her first employment then a marriage of convenience. While Olivia is an excellent choice, her large family gives Eli pause. He knows about the problems posed by in-laws, so he will do whatever it takes to avoid a repeat of his earlier experiences. 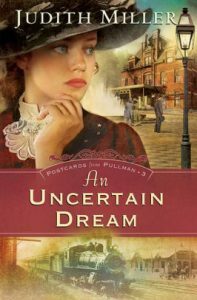 When Papa tells Olivia the Moore family must move according to Eli’s terms for the new railroad line, she fears for their safety, since they’ll be homeless during winter. Where will they go? How will they survive? It is up to Olivia to convince her husband to renege on his demands, though she swore before their marriage she would stay out of his business. 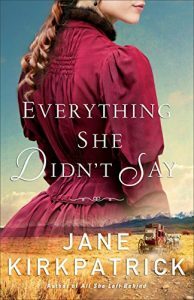 Spurned twice since the death of her betrothed in a logging accident, Lainey Kade has become the object of talk. “That Lainey, she’s a shrew all right. 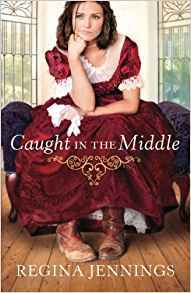 Not ever going to marry, likely.” Fleeing heartache and flaunting convention, Lainey seeks solace instead in seeking adventure and breaking the rules. When she crosses paths with Zane and Kelly Beaumont, she pretends to be married, but soon forges an adventurous companionship with these brothers whose nightmares since the Civil War have never let them return home. Dependent on each other, Lainey denies love’s rekindled spark. 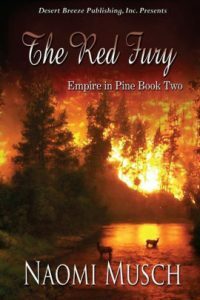 But as fires rage across the Wisconsin wilderness, it may tear them each apart, and Lainey may be consumed by the fury burning inside her. A farmer is the last man Sarah wants to marry! After all, if Sarah McCabe had wanted to marry a farmer, she would have stayed home in Missouri. Ensconced as a governess for Captain Sinclair of Milwaukee, Wisconsin, Sarah knows firsthand the life she has always desired, a life of luxury, culture, and social privilege. But then she meets Richard Navis, the captain’s steward, and those highfalutin dreams seem to vanish in salt air. Sarah loves his teasing tenderness and she admires his commitment to the Lord. Why should Richard want to leave behind his career to buy, of all things, a farm? Sarah McCabe knows exactly what she wants… but what does God want for her? 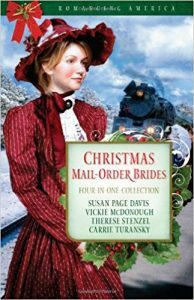 Three unmarried women contact Mrs. Mayberry’s Matrimonial Society for Christians of Moral Character seeking husbands and travel the new Transcontinental Railroad hoping love awaits them. 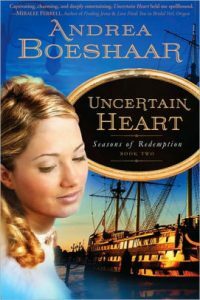 In A Trusting Heart by Carrie Turansky, Annika Bergstrom, a Swedish immigrant, travels to Wyoming where her intended, Chase Simms, has disappeared, leaving his father and brother saddled with her future. When her groom returns, will her heart still be free to give? In The Prodigal Groom by Vickie McDonough, Jolie Addams is orphaned and hired to work for a lecherous benefactor. She chooses instead to become a mail-order bride, but on the way to Nevada, her stage is robbed. She and a wounded passenger are stranded. They are rescued the next day, but Jolie’s intended refuses to marry her after she spent the night alone with Clay Jackson. She and Clay are forced to marry. Can a relationship and love grow from such an awful beginning? Also includes Hidden Hearts by Therese Stenzel and Mrs. Mayberry Meet Her Match by Susan Page Davis. Believing herself guilty of a crime, Olivia Keene flees her home, eventually stumbling upon a grand estate where an elaborate celebration is in progress. But all is not as joyous as it seems. Lord Bradley has just learned a terrible secret, which, if exposed, will change his life forever. When he glimpses a figure on the grounds, he fears a spy or thief has overheard his devastating news. He is stunned to discover the intruder is a scrap of a woman with her throat badly injured. Fearing she will spread his secret, he gives the girl a post and confines her to his estate. As Olivia and Lord Bradley’s secrets catch up with them, will their hidden pasts ruin their hope of finding love? Their community has been ripped apart by the company strike . . . can anything hold their love together? 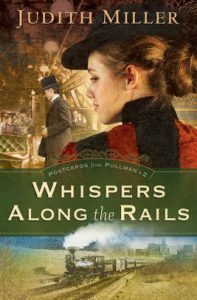 When Pullman Car Works employees walk out in protest of their wages and high rent, Olivia Mott is torn between her loyalty to the company and her love for Fred DeVault. 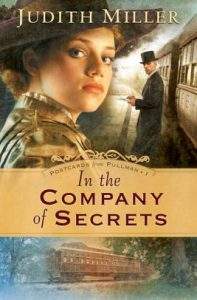 Amidst the turmoil in Pullman, Fred is asked to act as a local delegate to the national convention of the American Railway Union, but when the delegates vote for a boycott of the famous Pullman sleeping cars, Olivia wonders if Fred will ever be able to show his face again in the company town. What will become of their growing affection for each other? Traveling to England to reunite with her parents, Lady Charlotte Spencer is faced with tragedy. Armed with her fledgling faith, Charlotte decides to return to Chicago with her son to restart her life. But when Matthew Clayborn, a reporter for the Chicago Herald, wants to spend time with her, she worries about his motivations. Is he interested in her or only the information she can provide? Olivia Mott finds herself juggling two jobs: her assistant chef position at Hotel Florence and her undercover work for the Pullman Rail Car Company. Olivia thinks the suggestions she relays to Pullman’s town manager are being used to improve conditions for workers and save the company money, but is something much more sinister happening behind the scenes? Several months have passed since Lady Charlotte fled to Chicago, leaving her infant son in Olivia’s care. Now Charlotte’s money has run out. 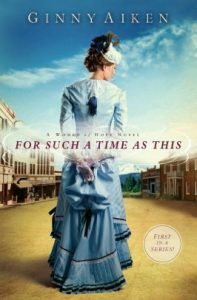 A kindly woman offers her a place to live and secures her a position at Marshall Field’s store, but Charlotte’s heart can’t forget the past. Dare she return to Pullman to find out what happened to her baby? The truth could cost her everything…. Olivia Mott didn’t intend to lie. Somehow, it just happened. And wasn’t it all Lady Charlotte’s fault anyway? Now Olivia’s position as assistant chef at Pullman’s elegant Hotel Florence is dependent upon her keeping her secrets. And sometimes lies have a way of leading to other lies. Should Olivia admit her real past and accept the consequences or keep quiet in order to preserve her comfortable new circumstances? Deception seems to be part of everyday life in the company town of Pullman, Illinois, where the grand Pullman Palace Car is manufactured. Samuel Howard, Olivia’s friend and the town manager, seems to think everything is fine, but Olivia observes something quite different. Could it be that Olivia is not the only one harboring secrets?